A void at the top of Nevada City’s police department could be filled, at least temporarily. 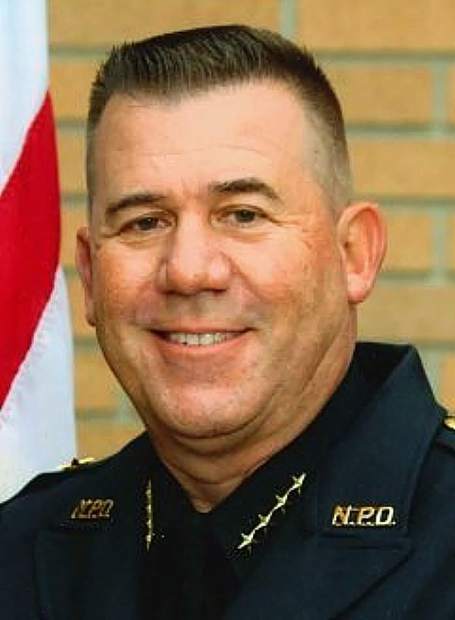 After meeting in closed session Wednesday, the city council announced it has selected retired Newark, California, Police Chief Jim Leal as its interim police chief. That position has been vacant since Tim Foley abruptly resigned in February, citing personal reasons. Leal, who was at the council meeting, said he was looking forward to getting to Nevada City and meeting everyone in the city. Leal retired in July 2017 from the city of Newark, where he had been on the force for 29 years, according to The East Bay Times. According to City Manager Catrina Olson, Nevada City reached out to locate police chiefs who were interested in an interim position or have been in interim positions. The city ended up with three final candidates, who were interviewed by a panel consisting of Olson, the City Manager, Administrative Services Manager Loree McCay, Lt. Chad Ellis, Lt. Paul Rohde, Grass Valley Police Chief Alex Gammelgard, Mayor Duane Strawser and council member Valerie Moberg. The final appointment was made by Olson, per personnel guidelines. Nevada City has a tentative agreement with Leal, but is still working on finalizing a contract, Olson said. She estimated that agreement is about a week or so out. Leal will be offered a limited-time contract, tentatively set at six months with an option to extend for another three months, Olson said. Moving forward, Olson said, Leal will help Nevada City plan for a permanent hire. Foley’s departure left two lieutenants, Rohde and Ellis, as the top staff in the police department. Leal is a CalPERS retired annuitant, so he is limited to working 960 hours in a fiscal year, Olson said. That issue caused the departure of the police chief prior to Foley, Jim Wickham. Wickham, a retiree from the Mill Valley police department, had planned to work for Nevada City part-time, but left in October 2013 under pressure from the state’s employee pension program. Retired Truckee Police Chief Scott Berry served as interim part-time chief between Wickham and Foley, who started as the full-time chief in February 2014.